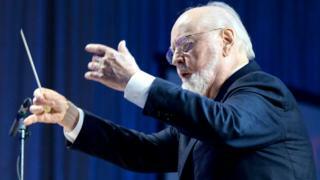 Star Wars and Harry Potter composer John Williams has pulled out of conducting concerts of his music in London and Vienna due to illness. But the venue said he had pulled out because of a "last-minute illness". He will be replaced by Dirk Brossé, who will conduct Williams's music from soundtracks including ET and Jaws as well as Star Wars and Harry Potter. Brossé was principal conductor for the Star Wars: In Concert orchestral tour between 2009 and 2011. There are no details about the composer's illness. A statement from his manager said: "John is so sorry that an illness prevents him from conducting Friday's concert, and he's grateful to his friend Maestro Dirk Brossé for taking the podium in his place. "He so wishes he could be with everyone, and the knowledge that 5,000 of his friends will be joining together to celebrate his music is a great comfort to him as he recovers. He wishes everyone a very joyous evening of music."